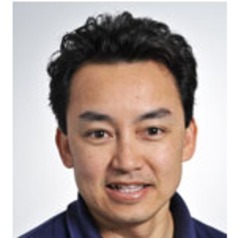 Nai Tran-Dinh joined CSIRO in 2002 as a postdoctoral fellow and is currently a team leader with interests in microbial and molecular ecology, particularly involving mycotoxigenic moulds. He has worked on and led projects investigating the physiology, ecology, taxonomy, biochemistry, mycotoxigenic potential and understanding relationships between strains of fungi from the agriculturally important fungal genera of Aspergillus, Fusarium and Alternaria. He has worked extensively in the area of Aspergillus flavus/parasiticus infection and aflatoxin contamination in peanuts and other crops. This work has included investigating infection cycles, fungal population surveys from crops and soils, mycotoxin production, biological control of aflatoxin contamination and differentiation and phylogeny of strains using molecular markers.